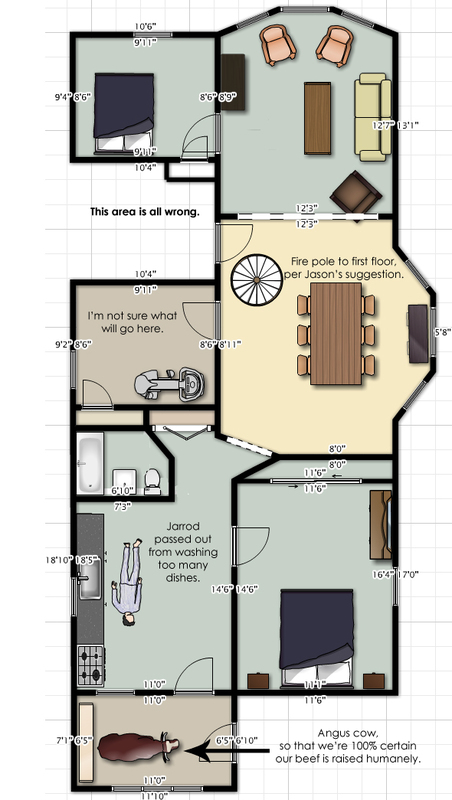 Here’s an updated floor plan. Still not exact, but close enough. Put on your Avatar glasses because these next three images are in 3D! I am very excited to visit your cow. I am impressed with the objects at your disposal. I like that the cats are always walking side by side- soldier style. These cats are going to be disciplined soldier-style in the next apartment! Cool! 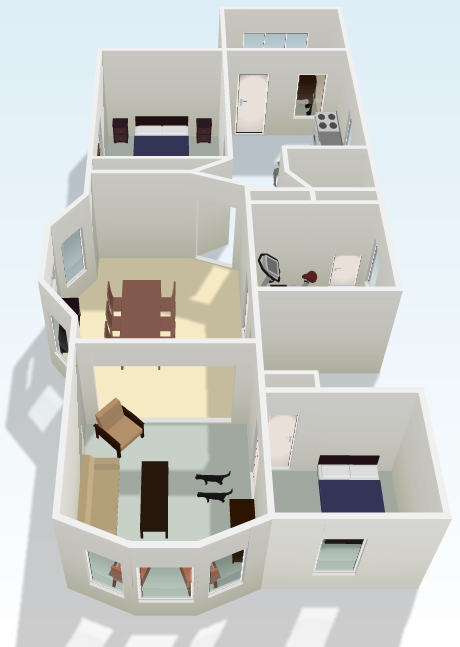 What software did you use for the 3D images? 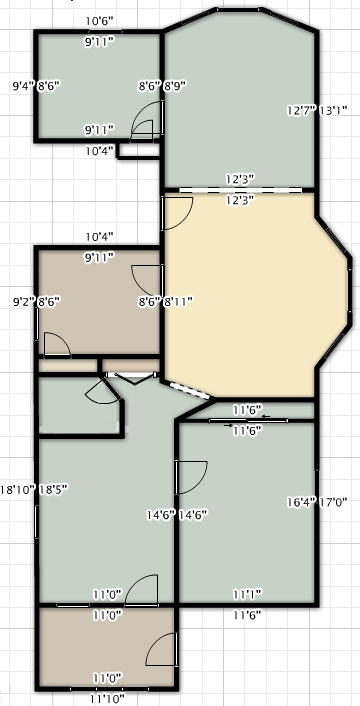 Floorplanner.com – it’s super fun.